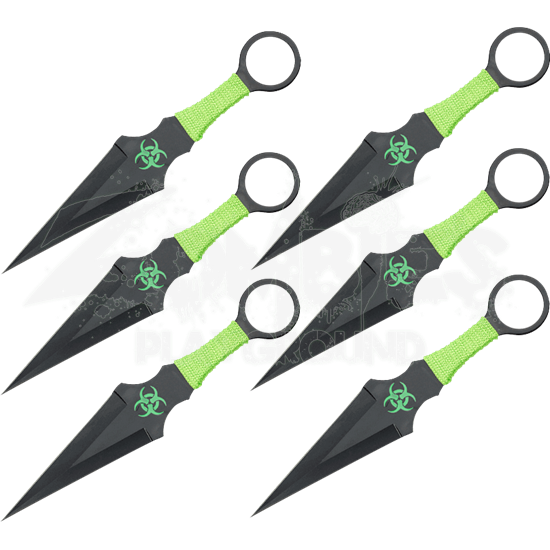 Wrapped in lurid green paracord and displaying a green Biohazard symbol, these 6 Piece Black Zombie Throwing Knives make a fantastic gift for a sniper training to defeat the undead. The ring pommel provides additional functionality. Crafted from 440 stainless steel, the throwing knife set displays a matte black body with zombie green accents. The full tang handle wrapped with cord provides a non slip grip. The leaf shaped blade and distinctive handle are reminiscent of the Japanese kunai. 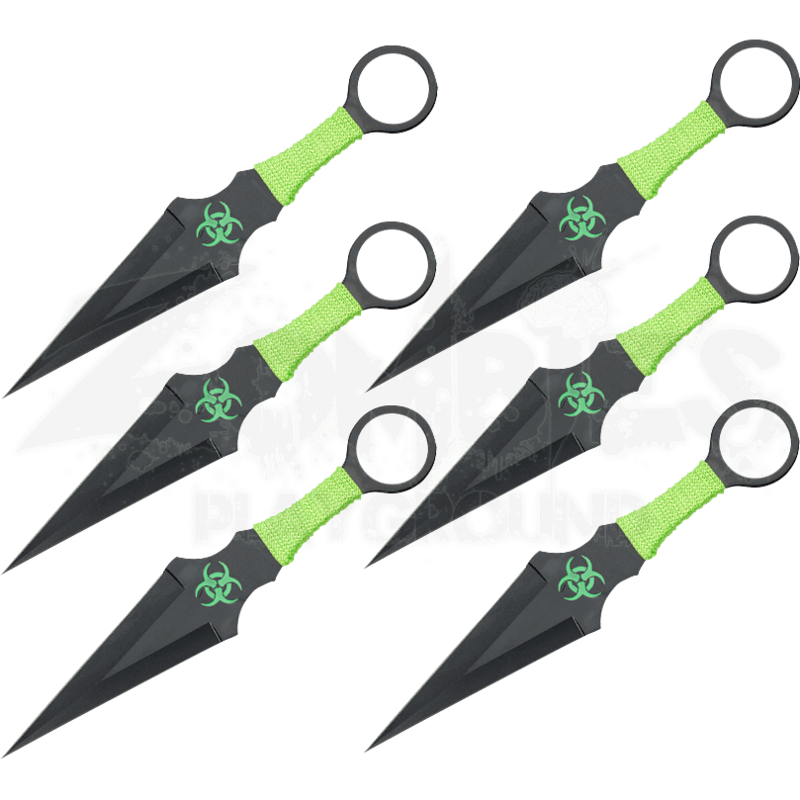 Perfect for recreation or competition, the 6 Piece Black Zombie Throwing Knives are a stunning set for any knife collector or undead hunter.